Hello, I’m happy to announce my game R Mahjong - real riichi (japanese) mahjong game. The rules basically correspond to the standard Japanese ones (with open tanyao, red fives, atozuke ari, double ron). Real and fast artificial intelligence. Support for multiple interface languages (English and Japanese). Player progress is displayed (rating). I would be very grateful if you test R Mahjong and give feedback, especially if you know how to play . 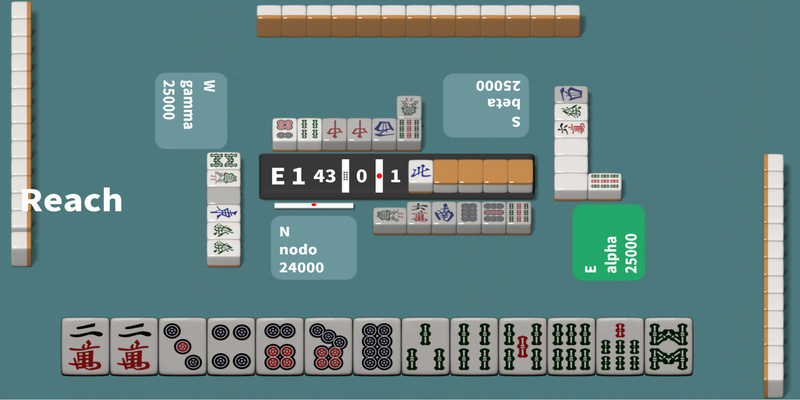 R Mahjong is made using cocos2d-x v3.17, Boost.Asio, SQLite. Since the application initially has a network architecture, in the future it is planned to implement the game on the local network (via wi-fi). And then the game in the global network. But so far only the local game against AI has been implemented. Frankly, I initially wanted to implement more (network game, statistics processing, strong AI), but then it would never end. If everything goes well, I’m going to implement it gradually.